The Large Hadron Collider (LHC) recently concluded its second run (Run 2) after delivering more than 160 inverse femtobarns of data to the ATLAS and CMS experiments, and will now take a two-year break before resuming operations. While the accelerator complex and the experiments undergo maintenance and improvements, CMS students are fully engaged in analyzing the data. 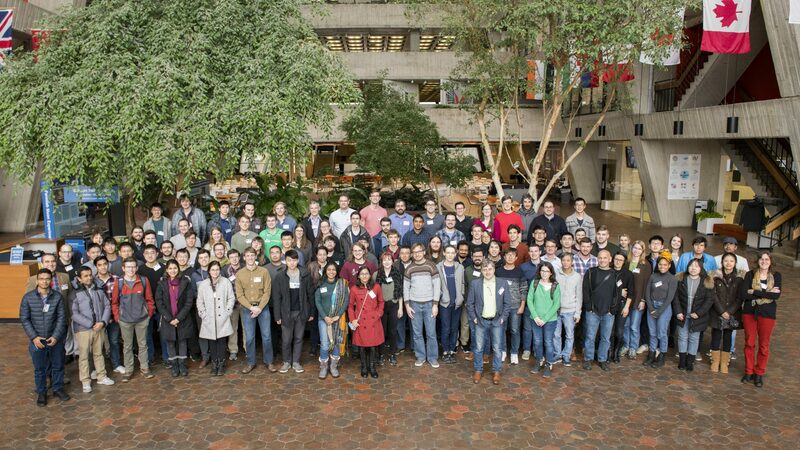 From Jan. 14-18, more than 100 graduate students, postdocs and faculty from around the world came to Fermilab to participate in the ninth annual CMS Data Analysis School, hosted by the LHC Physics Center. School attendees come to learn particle physics data analysis techniques, to strengthen their skills in analysis, and to interact with CMS scientists to learn more about all aspects of the experiment. Students are coached by CMS experts in hands-on sessions covering topics such as particle identification, statistics, machine learning and triggering. They also learn how to write high-quality scientific publications. As in previous years, the school culminated in a full-blown competition in which the students presented the analysis work they completed during the previous days to a jury consisting of four CMS scientists. The winning team received a special prize, but the best award is of course the knowledge acquired during the school. Thanks to the training, the students will contribute to the next round of data analyses from the CMS experiment at the Large Hadron Collider. 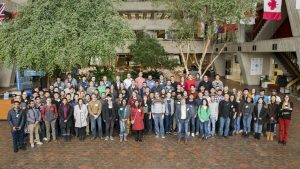 Cecilia Gerber (University of Illinois at Chicago) and Sergo Jindariani (Fermilab) are co-coordinators of the Fermilab LPC.